Perhaps the most obvious reason, but the most important one too! With the cost of transport, lodging, food, attractions, and souvenirs (and we know these are essential), travelling can be an expensive activity. 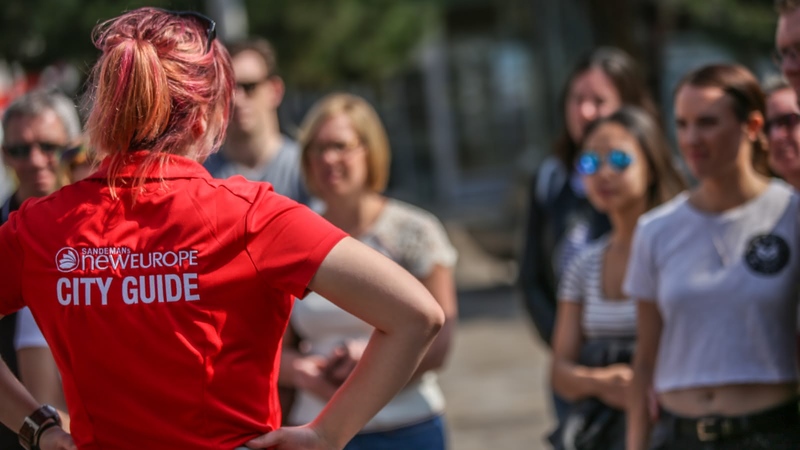 With a FREE Walking Tour, you can explore the city at a price that suits you, whilst your guide can provide you with all sorts of tips and hints on how to keep costs down throughout your stay. Our tips-only structure means that guides work extra hard to impress guests, providing them with an unforgettable experience. Moreover, SANDEMANs’ famous style of ‘infotainment’ ensures that guests will be on the receiving end of a charismatic and engaging tour, with a unique perspective of a city’s culture and history. In other words, we connect great guides with smart travellers. See the city through the eyes of a local. The talented guides we work with can provide you with information on everything from the city’s history to its best restaurants and attractions. The Free Tour not only helps you orientate yourself in a new city, but allows you to enjoy an authentic experience that can’t be found anywhere else! With 4000 people taking our tours across 13 countries every day, guests from all over the world can meet and explore a city together. A FREE Walking Tour is the best way to meet like-minded travellers and forge friendships that will serve to enrich your stay in the city. Don’t just save money, save the environment! With growing concerns surrounding climate change; eco-friendly travel is the way forward! Forget about buses and boats and learn every intricate detail about a city on foot. Additionally, our meeting points are always accessible and central, making it easy for guests to find it on foot as well.